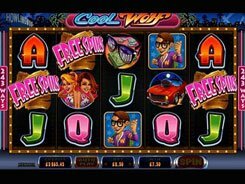 Cool Wolf is a 5-reel 243 wins to win slot machine delivered by Microgaming. Its theme is a bit quirky revolving around a teenager who morphs into a werewolf at nights. 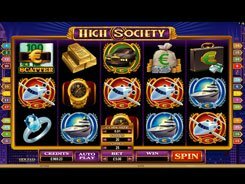 The betting options enable you to adjust a coin denomination from $0.01 to $0.5 and set the number of coins per spin (up to 10). 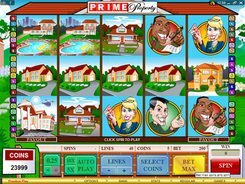 Overall, your total stake starts with $0.5 and reaches a whopping $250. The symbols are related to a night life and include a cabrio, a couple of cuties, sunglasses, the main character in two incarnations, etc. 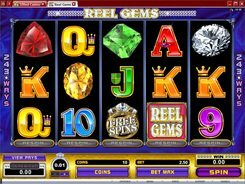 The top jackpot you may scoop in the slot amounts to x5000 times a bet, for five scatters appeared anywhere on the reels. 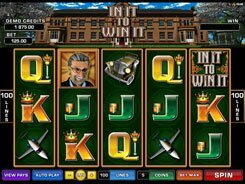 Three or more scatters activate 15–25 non-retriggerable free spins. 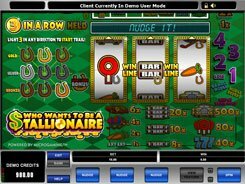 The slot’s highlight is the trademarked Rolling Reels feature. Whenever you hit a winning combo in a normal game, the symbols used in the combo disappear, and the new ones drop down to take their place. Along with the mentioned features, Cool Wolf boasts wild symbols, stacked wilds, and the Howling Wild feature that randomly turns some reels into wilds with guaranteed wins.